This gorgeous private room opens up to both the oceanfront balcony and the tiki bar. With buffet stations set up in an adjacent room, this private room offers an intimate atmosphere for you and up to 120 seated guests or 150 guests for a reception style gathering. 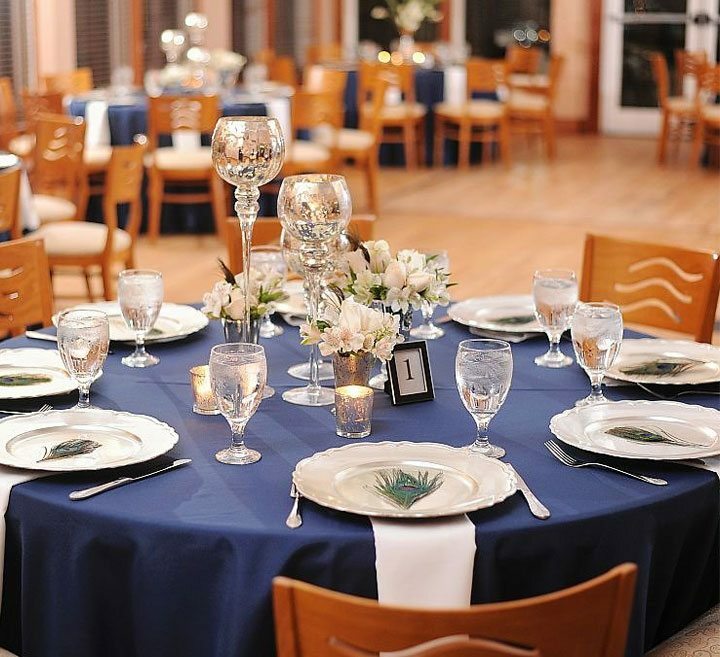 The renting of multiple banquet rooms is available for the same event. Prices vary by day. 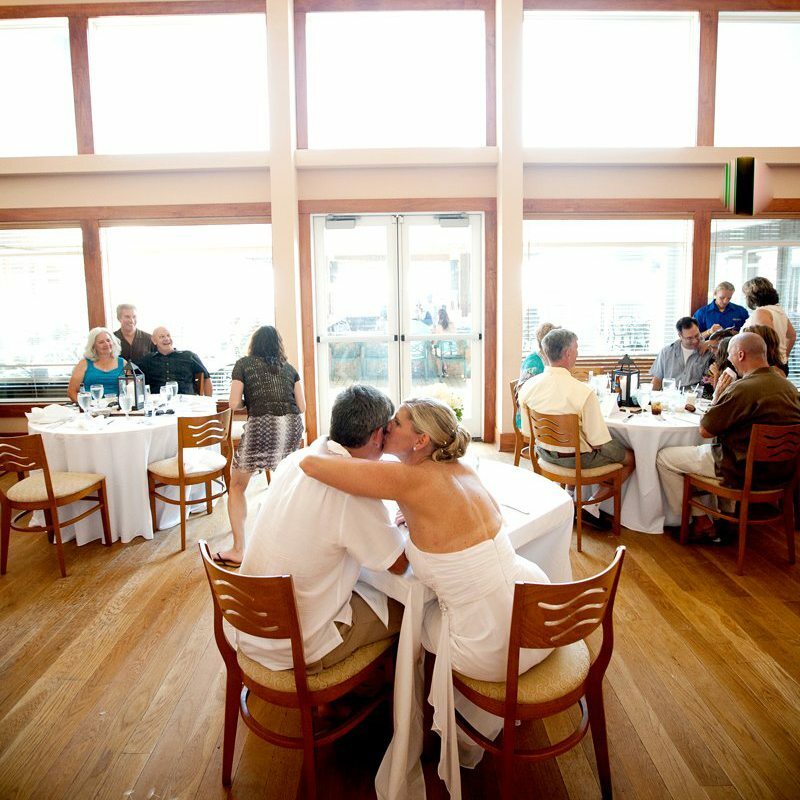 The intimate semi-private room is perfect for rehearsal dinners, wedding dinners, and luncheons. It seats 48 guests and opens up to the tiki bar. While this room is not set up for dancing or a DJ, a violinist, acoustic guitarist, or harpist make a lovely addition. Our spacious main dining room provides extra event space for facility buyouts. 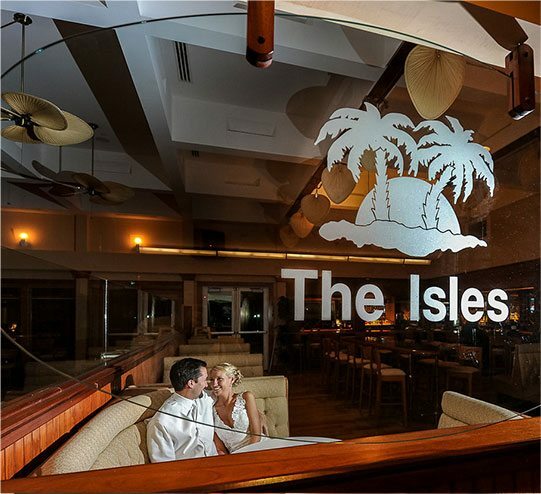 Buyouts include the Private Banquet Room, the Semi-Private Banquet Room, the Buffet Room, Tiki bar, and East and West Oceanfront Balconies. The main dining area seats 120 while the bar can accommodate up to 50 guests. The inside bar can be rented on its own, for cocktail style receptions with fewer than 50 guests.